Before we get to know each other personally, we would like you to get a picture of who will be dealing with your patent – both on a professional and human level. Why not visit us at our website? 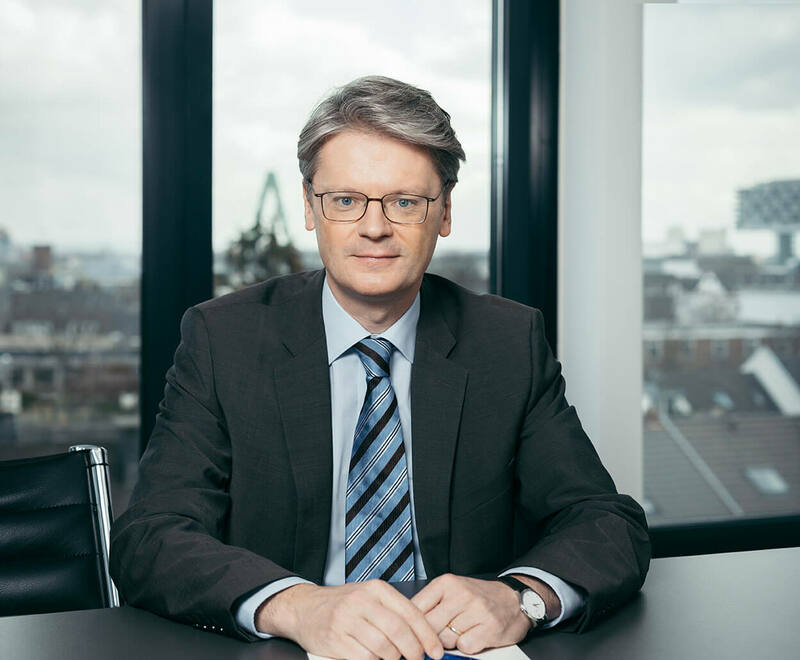 Dr Felix Wolff is a founding partner and previously worked at Bayer AG in the area of strategic planning. 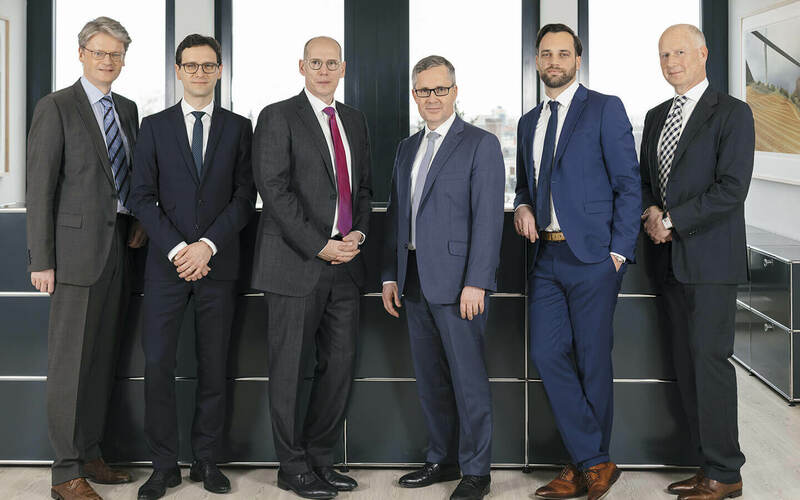 He specialises in advising clients on the strategic alignment of property rights portfolios throughout the development phase, and he has successfully asserted patent rights against third parties and advised clients defending patent infringement suits. Dr Wolff studied process technology at the Technical University of Munich, did a doctorate at the University of Dortmund and graduated as a Master of Science in Mechanical Engineering at PURDUE University, Indiana, USA. He is the author of several scientific publications on the subject of thermodynamics and environmental protection technology. Dr. Wolff is tutor at the Summer School on Intellectual Property at the University of Bonn. Dr Wolff is married and has two daughters. Dr Oliver Brosch is a partner who deals with examination, opposition and appeal proceedings in patent matters at the European Patent Office, the German Patent and Trademark Office and the Federal Patent Court in various technical areas, particularly organic and inorganic chemistry, pharmaceutics and process technology. He also specialises in looking after global brand portfolios. Dr Brosch studied chemistry at the University of Bochum and wrote his dissertation at the Max Planck Institute in Mülheim an der Ruhr. Dr Brosch is married and has two children. He plays golf and actively supports a Peruvian children’s home. Dipl.-Phys. 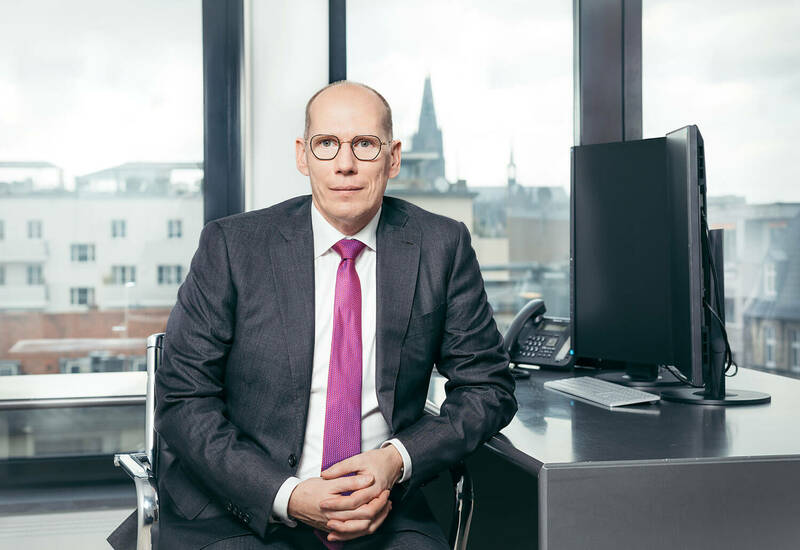 Thilo Schwöbel is a partner and has many years of experience in providing customer-specific strategies for obtaining and defending IP rights portfolios and in conducting freedom-to-operate analyses, especially in the fields of telecommunications, automotive and micromechanics. Thilo Schwöbel studied physics at the University of Karlsruhe, Germany, is an ‘Ingénieur Diplômé’ of ENSPG of the Grenoble Institute of Technology, France, and completed the CEIPI course in patent, design and trademark law at Robert Schuman University in Strasbourg, France (‘Diplôme CEIPI cycle long’). He is a German patent attorney and a European patent and Trademark attorney. 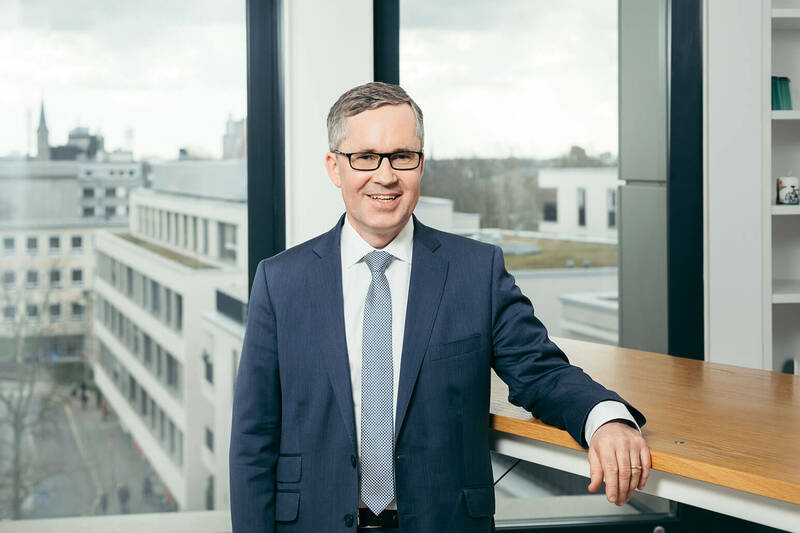 He worked in the central patent department of Robert Bosch GmbH for several years, draws up patent applications in German, English and French, and gives talks on the subject of IP rights. His family and friends play a major role in his private life and he enjoys cooking, hiking and cycling. 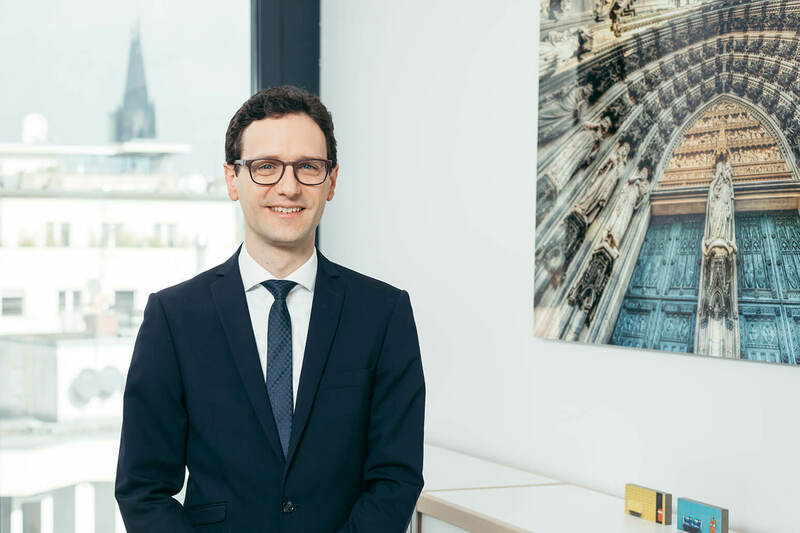 Dr Jan Bülle is a partner and specialises in the patent application process and patent litigation, particularly in relation to all proceedings at the European Patent Office. In addition, he looks after patent families in cooperation with foreign colleagues in practically every industrialised nation. He has many years of experience in organic chemistry, polymer science, biochemistry and pharmaceutics. Dr Bülle studied chemistry at the University of Freiburg and did a doctorate in organic chemistry at the University of Bochum. He is co-author of the textbook ‘Organische und bioorganische Chemie’ published by Wiley VCH. Dr Bülle is married and has a daughter. Dipl.-Phys. 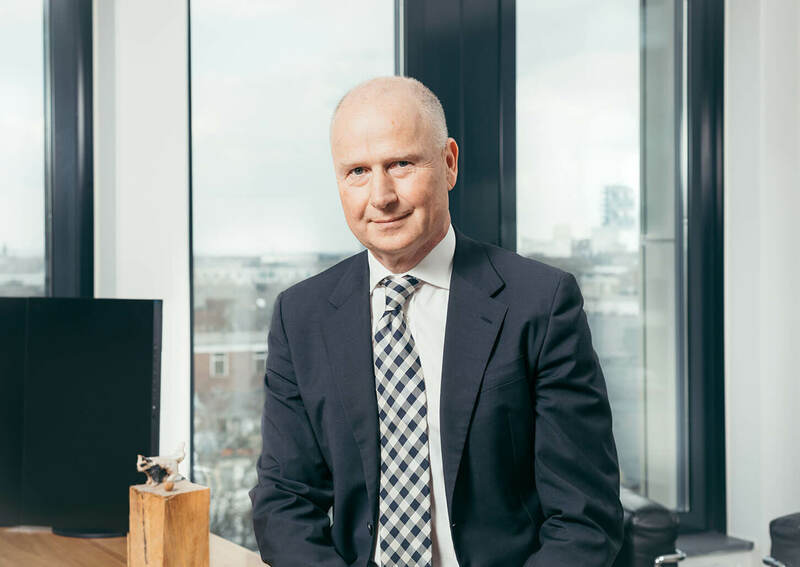 Jan Pieter Loock is a partner and represents renowned national and international companies as well as technical universites before German and European patent offices and patent courts. The technical main focus is here inter alia automotive industry, plant construction, rapid prototyping, electrical engineering and communication technology. He deals with all aspects relating to intellectual property rights and has particular and longterm experience in building up, strategically developing and managing client-specific patent portfolios. Furthermore, drawing up product-accompanying freedom-to-operate analyses is an important part of his practice. Jan Pieter Loock studied physics at the universities of Bonn and Heidelberg, specialising in chip design, microelectronics and analogue circuit design. He is a German Patent Attorney as well as a European Patent and Trademark Attorney. 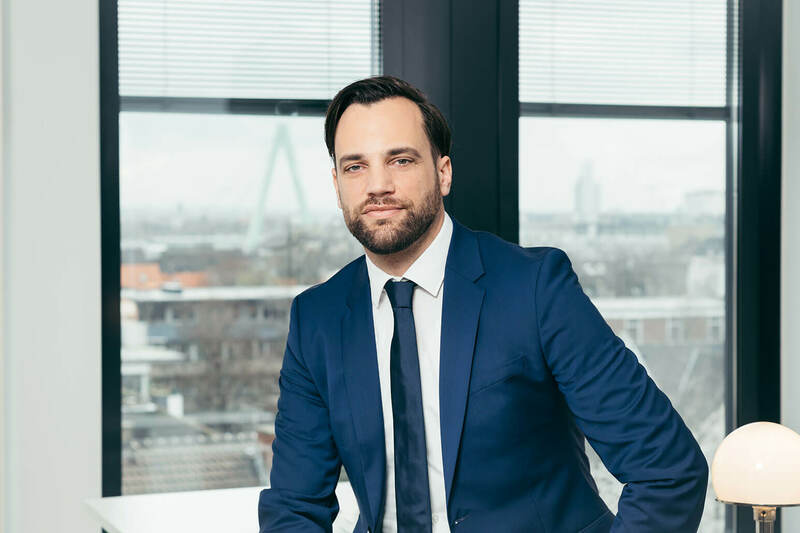 In addition, Jan Pieter Loock is tutor at the Faculty of Law of the Dresden Technical University for the certificate course „Intellectual Property Rights“. Dipl.-Ing. Gordian Prescher, LL.M. is a partner and advises company founders, medium-sized companies and large corporations in patent, design and trademark law as well as in issues of employee invention law. His technical focus lies in the areas of semiconductor technology and electronics, communication and communications engineering, medical technology, power electronics, electric drive technology, vehicle technology and defense technology. Gordian Prescher studied electrical engineering and information technology at RWTH Aachen University and completed a master's degree in law. Prior to his work as a patent attorney, European Patent Attorney and European Trademark and Design Attorney, he was a development engineer at Infineon Technologies and Philips.